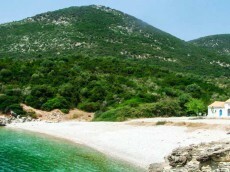 Aktio: About 28 km from Paleros. 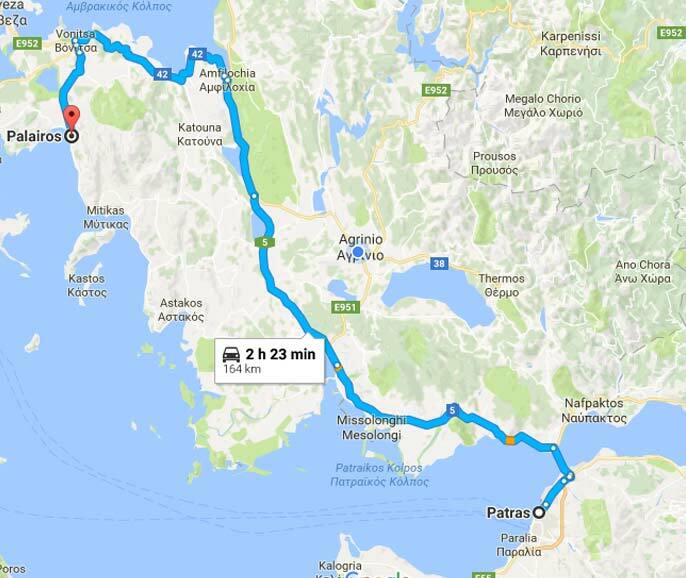 Athens: Paleros is about 380 km from Athens, via Patras (180 km from Paleros) and the bridge Rio – Antirio. 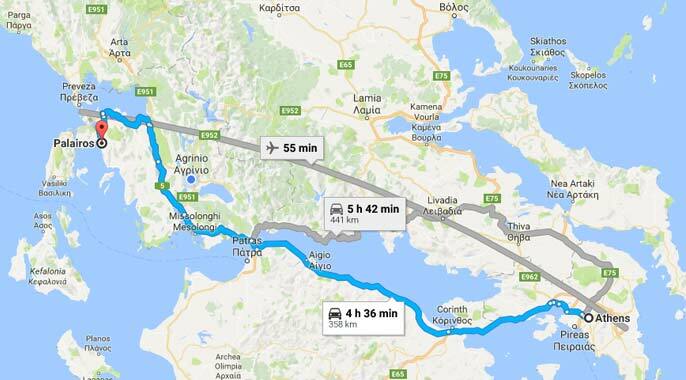 Thessaloniki: About 500 km from Paleros, via Ioannina. 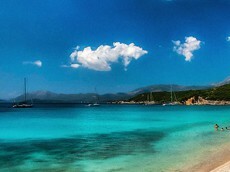 Lefkada: About 60 km from Paleros. 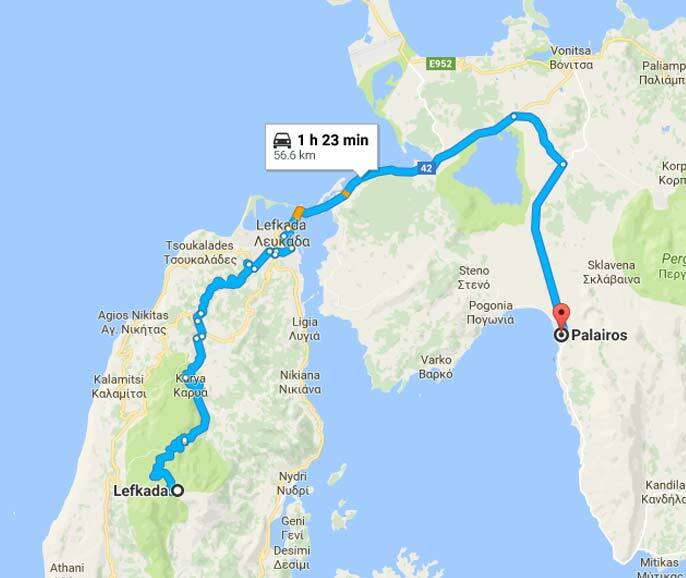 Patras: About 164 km from Paleros. 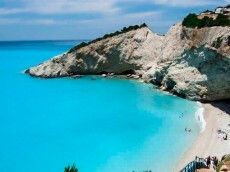 In the summer, flight times make it possible to fly from many UK, Irish and European regional airports to Préveza (via Athens) in one day. From early May to late October, international charter flights to Préveza arrive most days of the week from many parts of Europe. British charter flights are mainly from Gatwick and Manchester on Saturdays, Sundays, Mondays and Wednesdays. 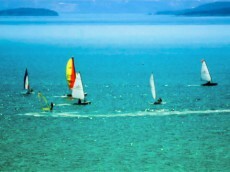 There is also one flight from Heathrow airport on Sunday. 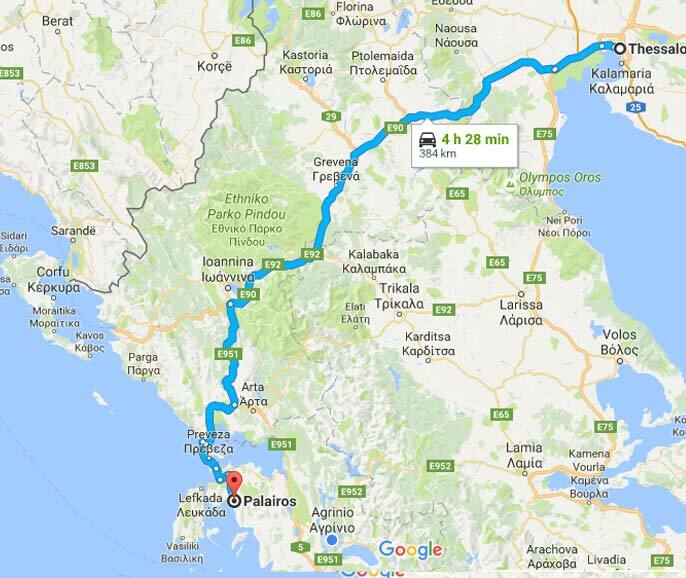 Paleros is 360 km from Athens, 420 km from Thessalonica, 150 km from Patra, and 100 km from Igoumenitsa. 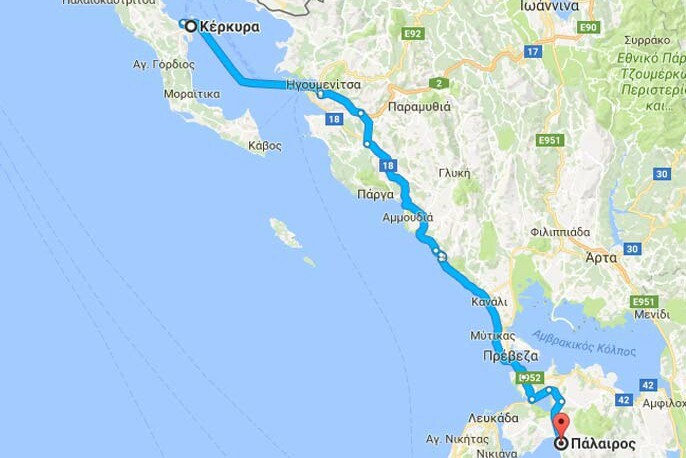 There are daily bus connections to Athens and Patra, and twice a week to Thessalonica. 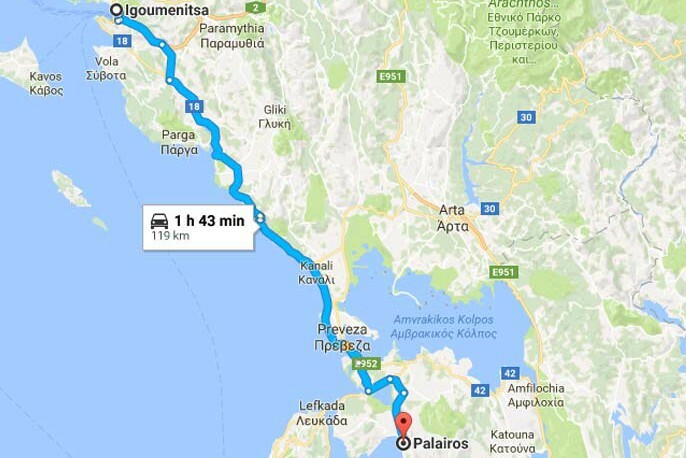 Those travelling Paleros from Italy have a particularly easy journey via the ports of Patra and Igoumenitsa (140 km of Sivota). 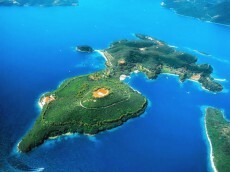 There are daily ferryboats connecting Corfu with Igoumenitsa with timetables which change according to the season. 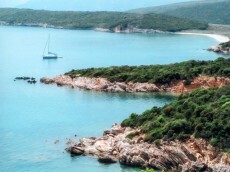 Large ferries depart from Patras to Italy (Bari, Brindisi, Ancona, Venice) and vice versa, usually with a stop at Igoumenitsa. 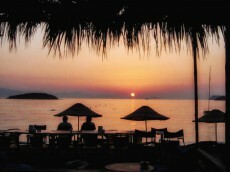 There are several daily departures all year long. 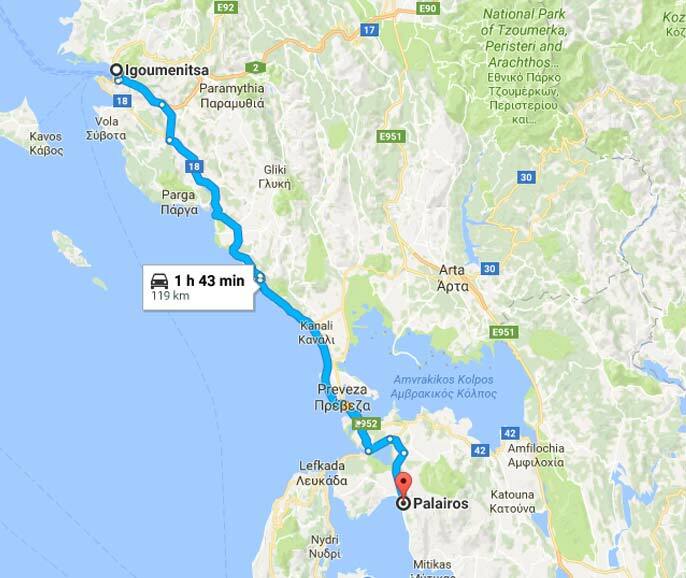 Our first advice would be to rent a car directly at the airport of Athens or Preveza airport.The journey to Paleros is around 4 or 5 hours. 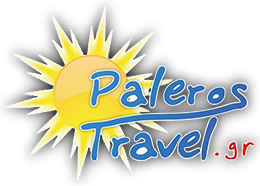 This allows you to enjoy your stay on Paleros further, by giving you easy access to shopping and sightseeing. Although this solution may be slightly more expensive, it is a more comfortable option than taking the bus. 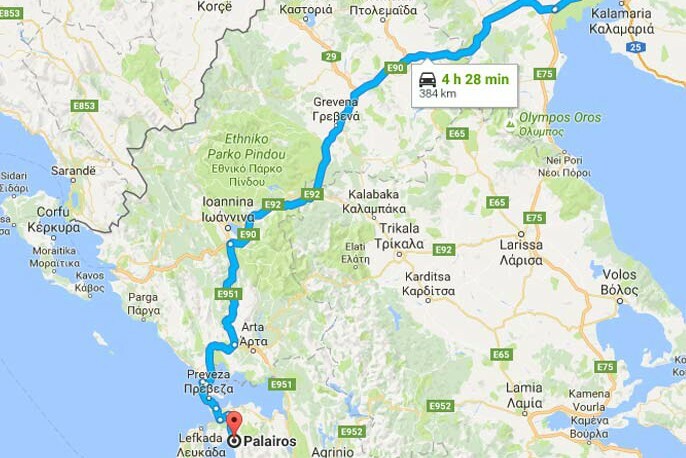 However, if you do decide on the latter option, know that you can reach Paleros through Bonitsa bus station that is 15 min away from Paleros town.It has directly connections from Athens and is the hub of mainland transport. The station’s new computerized system issues tickets with numbered seats which you should use to avoid potential confusion, although outside the town it’s normal to pay on board and sit anywhere. 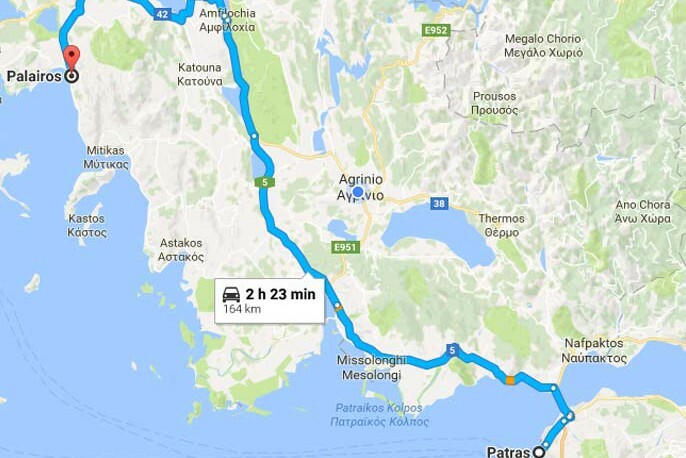 The cost ranges from 30 to 40 euros for the trip between Athens and Vonitsa town. 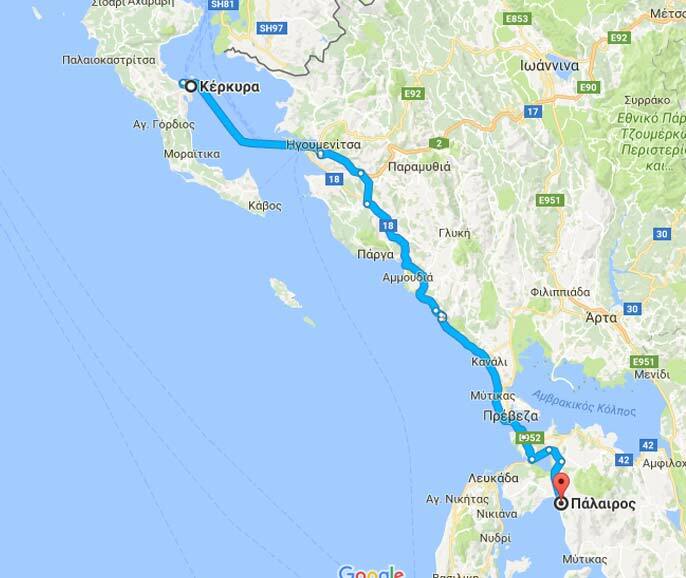 It will be necessary to go to Kifisos, which is the main bus station in Athens.Then from the main bus station, you can take a bus travelling to Bonitsa located in the box / line 39. 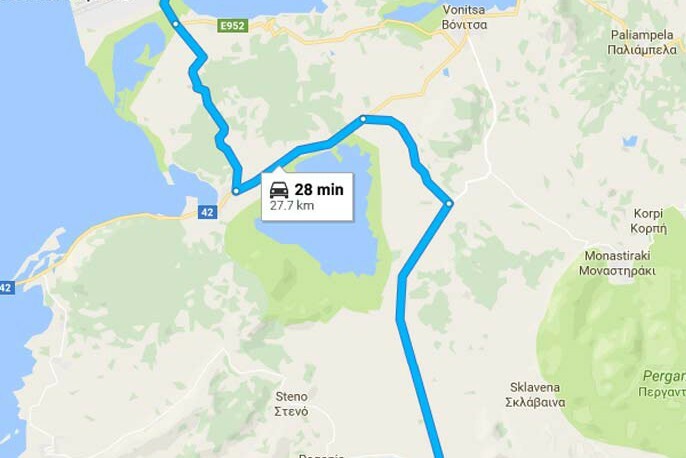 You should have around 4 departures daily during the summer. 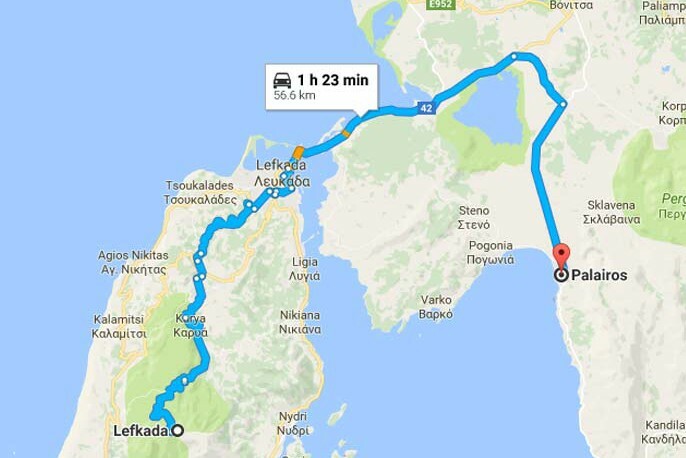 The following times may be approximately accurate, though do check with the bus company before your departure to confirm times (www.ktel.org or +30 26430 22500 ). We arrange transportation service for you in advance so they will know what time to be there to pick you up. We ask for your flight number and arrival time so that the driver can check once he arrives to make sure you are on time. The driver will be waiting outside the exit of the airport with a sign saying your name. Email for more information about the pre-arranged airport transportation service. Once you have cleared immigration, picked up your luggage and go through customs, exit the Arrivals Terminal and look for our driver. He will be carrying a sign with your name. Should you fail to see him, please wait a few minutes, and then call us at our office. 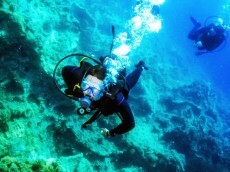 We are constantly in touch with them via telephone, so it will be easy to let him know where you are waiting. Please do not take a taxi or other means of transportation, as your transfer will not be refunded. 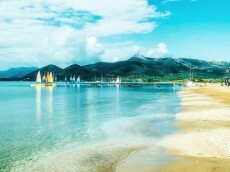 Our goal is to help you during all your booking process, so do not hesitate to contact us in case of any special requests.